A wine cellar is one of the most ideal places to store wines because,when properly built, they are capable of providing the climate-controlled conditions that wines need to develop and age tastefully. A wine cellar can be an ineffective wine storage solution for many reasons, most entailing mistakes that were committed during the construction phase of the wine cellar. Learn about a few common mistakes in wine cellar construction, and how to avoid them. When people start collecting wine, they must have a wine storage solution prepared, so that their investment can be protected and kept safe. 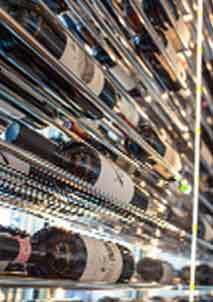 The most popular choice of wine storage solution is a residential custom wine cellar. Some people, in order to cut down the costs of design and construction, try to build their wine cellar themselves, or they have a carpenter built it for them. The trouble with this is that they will ultimately end up spending more and losing more, because the wine cellar that they build/have built will turn out to be an ineffective wine storage solution. The construction of a residential wine cellar in Vancouver, Canada should only be entrusted to an expert wine cellar designer and builder. Only a wine storage expert knows the construction specifications of an ideal wine storage solution. They are the only ones eligible to build an effective wine storage space. Moreover, there are many companies in Canada that offer wine cellar design and construction services, but you shouldn’t trust them all; only those that have a sturdy reputation for producing quality wine storage solutions. The ineffectiveness of a given wine storage solution is usually due to at least one mistake that occurred during its construction. Here are some of the most common wine cellar construction mistakes in Vancouver, Canada. This is the most common wine cellar construction-related mistake, and it is also the most costly to remedy. Without a vapor barrier, or when the vapor barrier is incorrectly installed, mold and mildew start to form. This is due to excessive humidity, as a result of the temperature difference between the outside of the wine cellar and the maintained temperature inside. Without a correctly installed barrier, the process of wine cellar cooling can cause moisture migration. Moisture migration is the pulling in of moisture from the cellar’s surrounding environment. The extent of this moisture migration will vary from location to location and from one season to another, depending on the level of humidity. Moisture promotes the growth of mold, which can contaminate the wines. The formation of mold and mildew starts insidious and hidden. By the time that it becomes noticeable, it has already penetrated deep into the walls, and has become pervasive. In cases wherein the formation of mold is extensive, it can be necessary to remove the drywall completely from the walls and ceiling.Following this,the insulation will have to be removed and replaced. Properly installed, high quality insulation is an essential element in creating an effective wine storage solution. For insulation to be considered good quality, it has to have a sufficient rating, or “R” factor. It also has to be applied properly, and applied to all of the walls and the ceiling. If the insulation is not of good quality and not installed properly, the temperature inside the wine cellar will constantly be fluctuating, which can damage the wines. Also, poor insulation can cause the wine cellar cooling unit to be overworked, and therefore to break down easily. Some people think that custom wine cellar doors in Vancouver, Canada are mere entrance ways to their wine storage room, but the purpose of wine cellar doors goes far beyond just that. Wine cellar doors are specifically built to help insulate wine cellars. 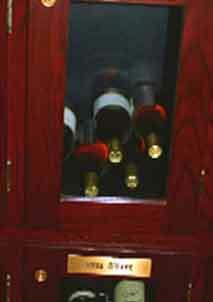 They are also necessary in creating an airtight seal inside the wine storage room. A properly built and installed wine cellar door reduces the probability of warping,which would otherwise occur due to differences in the humidity and temperature inside the wine cellar and the outside environment. Well-made wine cellar doors are built utilizing a special method of sealing the bottom of the door: a mechanism that seals the gap between the threshold and the bottom of the door. When the door is closed, the seal is tightly closed; it retracts as the door opens. The seal is configured to retract automatically so that it does not degrade and the door is undamaged. People choose wine cellar lighting fixtures based on what they think will make their wine cellar look good. 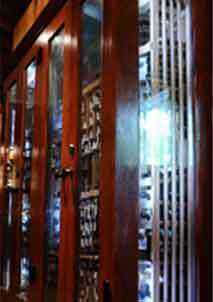 Indeed, wine cellar lighting can improve the aesthetic appeal of any wine cellar, whether residential or commercial. What people forget is that, if they choose the wrong type of wine cellar lighting, the temperature and humidity inside said wine cellar can be negatively affected. For example, some wine cellar lighting produces excessive heat that can all too easily damage the wines. Ideally, wine cellars should only have LED lighting. LED lights produce very minimal heat, and they also consume minimal electricity. They may be a bit costly at purchase, but they help wine cellar owners save a lot in the long run. A wine cellar refrigeration unit is an integral part of any wine storage solution in Vancouver, Canada.Wine cellar cooling units are responsible for providing the ideal temperature and humidity inside wine cellars. But since each wine cellar has different dimensions, and a varying number of wines within, they vary in storage requirements. 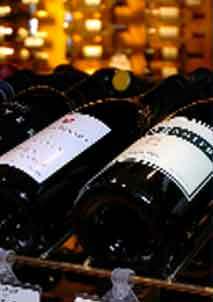 This means that different custom wine cellars need different wine cellar refrigeration systems. A wine cellar cooling expert can most accurately determine the appropriate wine cellar cooling system for your wine storage solution in Vancouver, Canada, so that your wines can really be kept in the ideal conditions.